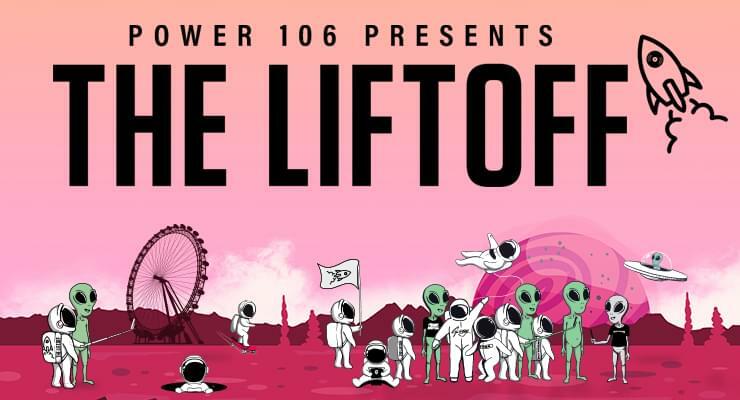 Win tickets to The Liftoff on the Power Hours at 7A, 8A, NOON, 3P, 4P, 5P and 7P. Listen at the TOP of the HOUR for the SONG of the HOUR. 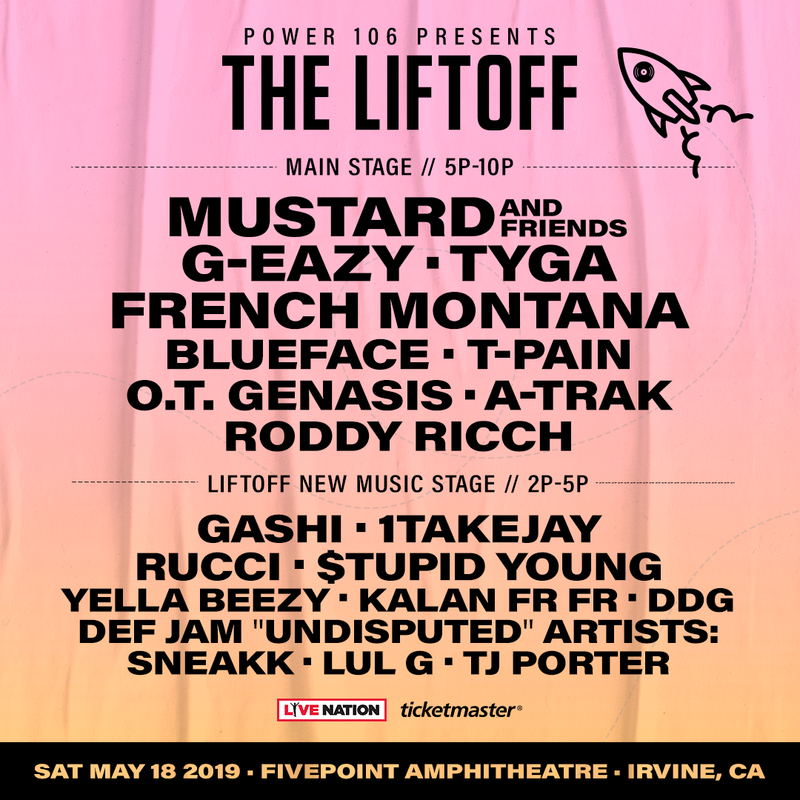 When you hear the SONG of the HOUR, call 818-520-1059 and caller 106 wins a pair of tickets to The Liftoff and qualifies for the grand prize VIP tickets! The Liftoff features 2 stages and a festival area. The Liftoff New Music Stage features live performances from hot new emerging Hip Hop artists. The festival area offers graffiti artists, body art, lawn games, food trucks, and lifestyle activities. The Liftoff is a 1-day music festival with doors opening at 2PM. Press Inquiries, please email press requests to Djason@power106.com.